This entry was posted in Bomb squad, History, Movie, Recommendations, TV Series, WWII and tagged Anthony Andrews, Blitz, Bomb Squad, British TV Series, Danger UXB, History, London, Movie, Recommendation, The Hurt Locker, War Movie. Thanks for the recommendation. Sounds intriguing. I love BBC dramas. I have put it in my Netflix queue. A truly superb series whose quality does not date with the passage of time. Deliberation over the casting and sequencing of events makes for repeated viewing due to the accomplished acting standard which generates an atmosphere difficult to surpass. Adept use of locations allied to attention to detail ranks this series alongside any other of its type although the ending did leave a few questions unanswered. I agree, one could easily watch it again. I think it is well done. The end is somewhat abrupt but it is ok anyway. Does anyone know if the opening theme tune was specially composed? 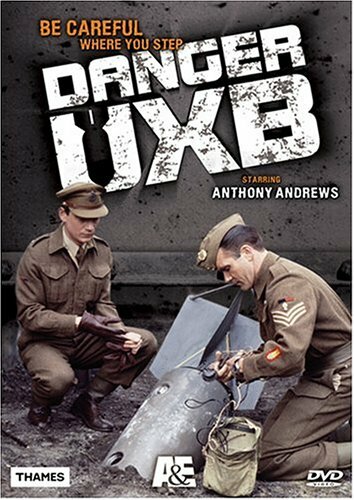 Apart from the bit where the letters “UXB” appear, I liked it (perils of having a rare form of autism, I suppose!)! It was indeed. I think the composer is called Simon Park.